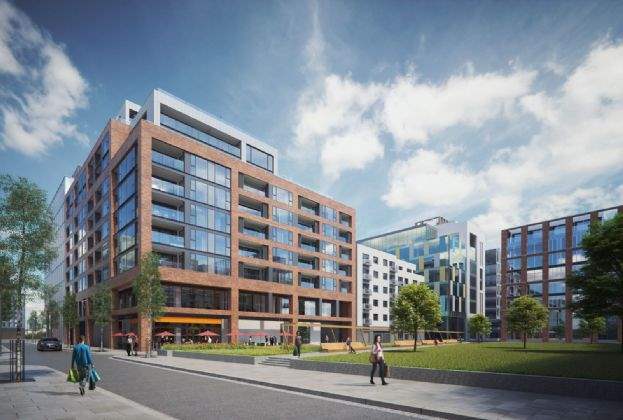 268 apartments, currently under construction as part of the Dublin Landings development in the globally recognised Dublin Docklands, have been placed on the market. 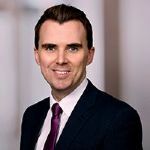 The sale of ‘Blocks B & E Dublin Landings’ represents Ireland’s largest-ever prime private rented sector opportunity and is being handled by property advisors, Savills Ireland. 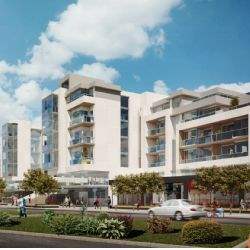 The scheme, which is being developed jointly by Ballymore and Oxley, will set a new benchmark for apartment living in Ireland, with exclusive on-site resident amenities including concierge facilities, landscaped gardens, a private gym, business lounges and 210 basement car parking spaces. The 268 units will comprise 82 one-bed, 146 two-bed, 31 three-bed apartments, in addition to 9 three-bed duplex apartments – all built to a luxurious standard with the finest design, layout and aspect. Dublin Landings is situated in Dublin’s docklands and forms part of a larger ‘Dublin Landings’ waterfront regeneration project which will feature an overall total of approximately 100,000 sqm of office, residential and retail/leisure accommodation, of which 22,019 sq m will be residential accommodation. Its water side setting presents future residents with spectacular views overlooking the River Liffey, into Dublin Bay and the Dublin Dockland skyline. While its pivotal position within the Docklands provides a sought-after business address where over 40,000 people work across the banking, financial, legal and other service sectors. The Docklands is viewed as an integral and vibrant part of the city and continues to be a major centre of employment. Commercial tenants include Facebook, Google, PWC, WeWork, NTMA, Hubspot and Central Bank. The Docklands will see the highest concentration of new office development in Dublin over the next decade. This will inevitably bring more jobs and an increased demand for residential accommodation in the area. An additional 186,000 sq m (2 m sq ft) of office space is scheduled to be delivered by 2021 which would equate to over 15,000 additional people working in the area. 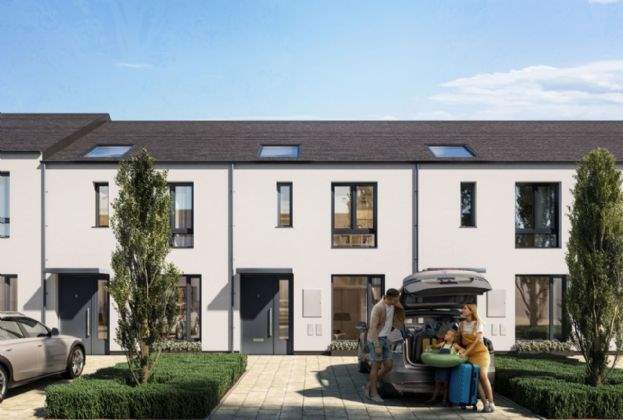 Upon completion, it will become Ireland’s most connected residential development, with LUAS (light rail), train, DART (Dublin Area Rapid Transport), bus and bike stations are all within a few minutes’ walk. Dublin Airport is approximately 25 minutes by road via the Dublin Port Tunnel.